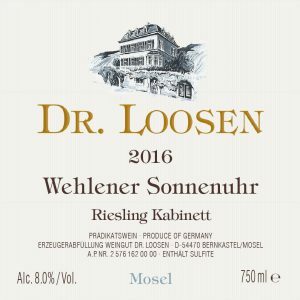 The Dry vs Kabinett Rieslings of Dr Loosen, Keller & Wagner-Stemple. A Context & Contrast Wine Experience with WINE DECODED! Our last Riesling offer from JJ Prüm focussed on Spätlese, Auslese and Eiswein Riesling. Today we seek Perfect Balance exploring the Trocken (Dry) vs Kabinett (sweet yet perfectly balanced) Rieslings of 3 of the great German makers. Each pairing offers the same or adjacent fruit source made as a Dry wine with up to 9g/L sugar and a Kabinett style with up to 45g/L sugar. Put the tech stuff aside through and focus on the old favourites to assess the wines: depth and length of flavour and aroma, balance, complexity, texture, and, freshness with good pre-bottling development. Most importantly harmony and a style that showed personality. If you really want to get your head around these wines, taste at least 2 at a time. The Trocken and Kabinett from a producer is a solid way to go. It makes it so much easier to find the differences and helps you to appreciate each wine’s qualities. Having a glass for each wine is the way to go! Watch out for offers from us giving you the opportunity to taste in Context and with Contrast. Cellaring: Riesling, when young has a raw attractiveness to it, age it and you’ll see it go through several phases of development. After a few years the youthful primary characters subside, the wine comes together, more sophisticated aromas and flavours develop. After 10 years what we call secondary characters associated with ageing wines start to develop and layer in, creating complexity, they become adults. The good ones will continue to age beautifully for decades. Seriously, get at least 2 x 6 Packs drink one soon and put the other away. If you really want to find the true potential of these wines get 3 or more 6 packs from these 2 excellent vintages and lose one somewhere for a decade! Food Match: These are incredibly versatile wines, in Australia we love drinking them with fresh vibrant Asian food, they great with seafood, but can easily go toe to toe with chicken, pork and mid-weight pasta. Riesling and cheese work particularly well together! The little bit of fat balanced by the acid and the salt of bringing out the flavours beautifully. Tasting Order: Taste the Trocken(s) first then Kabinett(s). Look out for the balance in these Trocken vs Kabinett wine pairs. The Kabinetts have lower alcohol, higher acidity and higher sugar, the reverse for the Trocken wines, yet both are beautifully balanced. When you think about this it makes perfect sense. When you’re cooking, and, a dish is a little tart, you add a sprinkle of sugar, when, it’s too sweet perhaps a squirt of lemon juice for acid to balance it. Add to this the depth of fruit, both are made from seriously high quality fruit, the residual sugar is not being used as a substitute for low quality fruit in the Kabinetts, simply to make a different style. I love both, which gets grabbed from the cellar just depends on what I feel like on the day. You can read more about the different Riesling styles including sugar, Kabinett to Trockenbeerenauslese, from the Riesling Maestro Ernie Loosen in here. Trocken styles can contain up to 9g/L sugar. With the natural acidity of Riesling, particularly in the cooler climates of the Mosel and Rheinhessen the small amount of residual sugar simply, combined with the higher alcohol in the Trocken wines compared with the Kabinett balances the wine, giving it a sense of generosity and harmony. If you’re not told you probably wouldn’t even know it was there! The grapes for Trocken styles will have less influence from Botrytis or Noble Rot than the dessert styles. 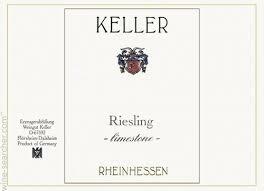 The Keller at 9.5% Alc and 3g/L sugar, is the most elegant of the three, the Wagner-Stemple at 12.5% Alc from the warmest part of the Rheinhessen the most immediately rich. 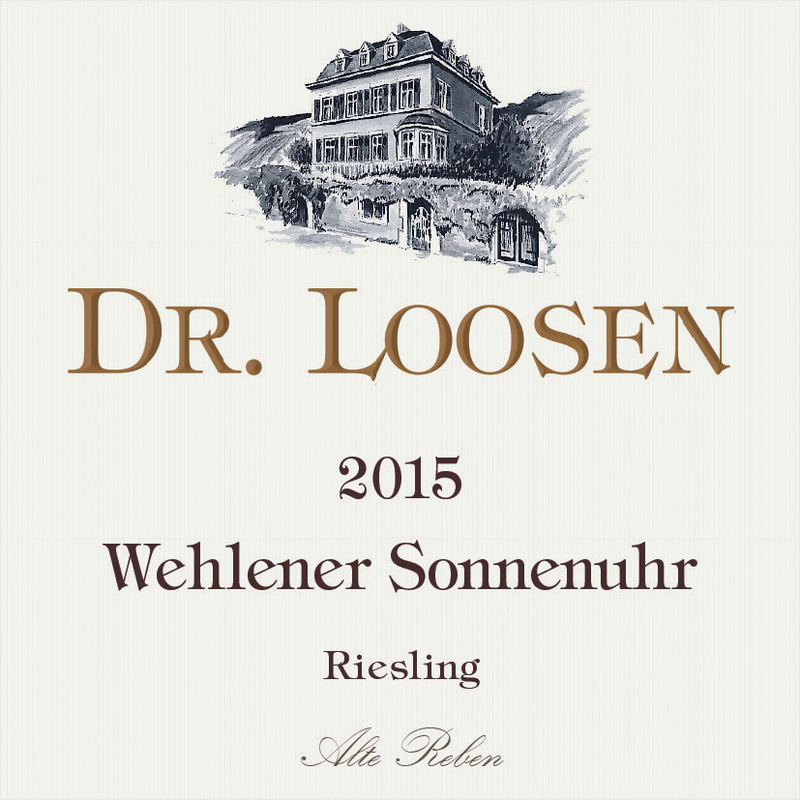 With the same 12.5% Alc, the Dr Loosen GG shows just how much difference the site makes. The restraint of the cool, steep, slate slopes of the Wehlener Sonnenuhr vineyard shows. Look out for the serious depth of fruit just waiting to pop. With a few more years in bottle, it’ll really shine. Of the styles including sugar, the freshest style is Kabinett with little influence from Botrytis. The standard line for the German’s being that where the English offer tea to guests in the afternoon the German’s offer Kabinett or Spätlese wines, more akin to a table wine. That said I devoured a Wagner-Stemple Kabinett, with pasta and cheese on a 38°C day in Melbourne, perfection! You can see the different condition of the grapes and the detailed selection process required to produce the different styles in the film below. Starts at 2mins 30sec. In general, you’ll find the wines from the Mosel, particularly the Wehlener Sonnenuhr vineyard, to finer, more restrained than the wines of the Rheinhessen. The Wagner-Stemple will be the fullest of the 3 makers, a reflection of Daniel’s sites. The Mosel river snakes its way between dramatically steep, slatey slopes from just south of the ancient Roman city of Trier to Koblenz to the north, where it empties into the Rhine. The valley is home to many of the world’s most famous Riesling vineyards. The wines are richly fragrant, pale to golden in colour and light-bodied with lively acidity. The slaty soil lends a distinctive taste to wines which range from fine and fruity to earthy or flinty, often with a hint of spritz. How ridiculously steep the site is! Note the slate that makes up such a high percentage of the ground. How much manual labour has to go into working the site. How small the bunches are and how few there are per vine. The grapes that look rotten, but actually, have a beautiful natural Botrytis infection or Noble Rot, that will impart so much personality & texture into the wine. The natural river fogs create the perfect environment for Noble Rot, like the caves of Roquefort for its delicious blue moulds. The difference with the soils, red clay with little stone, compared it to the slate Mosel vineyard of Wehlener Sonnenuhr. Most of the vineyards are on rolling hills rather than steep slopes. The vineyards are spread across a broader area, compared with a thin strip adjacent to the river as in the Mosel. You’ll see the tiny bunches of Riesling they look to be 50-100g per bunch, very small. Note the berries, you’ll see small ones and big ones, known as Chicken and Hen in English and Millerendage in Frecnh. These small berries are concentrated powerhouses of juicy acid and vibrant flavours. Watch Peter Keller removing individual berries from bunches by hand in the vineyard, trust me, this is not for the camera! It’s painstaking work and one of those 1 percenters that takes wine from being good to exhilerating. 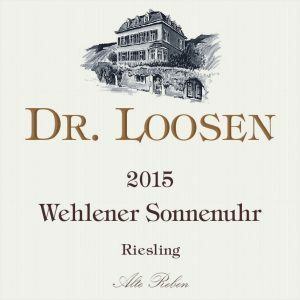 Loosen has been in the same family for more than 200 years and its present guardian, Ernst Loosen, is one of the great characters of the wine world. He assumed ownership of the estate in 1988 and immediately realised that, with ungrafted vines averaging 60 years old in some of Germany’s best-rated vineyards, he had the raw materials to create stunningly intense, world-class wines. To achieve this, Erni dramatically reduced his crop size and ceased using chemical fertilisers, preferring only moderate use of organic fertilisers. And, most importantly, he turned to gentler cellar practices that allow the wine to develop to its full potential with a minimum of handling and technological meddling. It’s interesting that Klaus-Peter trained with Hubert and Romain Ligner, and, Eric Rousseau in Burgundy. The parallels between the domains are worth considering. Meticulous care of the vineyards, low yields, wines of great harmony and texture. It’s the last, texture that has always fascinated me as a winemaker. It’s the one that often separates the great wines of Europe from their Australian counterparts, and, the one I was heavily focused on refining at Yarra Yering. Keller has been in the family since 1789. Their 18ha holding consists of 15ha of Grand Cru sites. The Limestone and Von der Fels Rieslings are blessed to incorporate GG fruit! Since taking the reigns in 2001 Klaus-Peter has gradually increased the proportion of dry Riesling produced by the estate, and, it is these wines that have brought critical acclaim. Read more about Keller here. Stay tuned! Will be publishing more about Riesling in the Wine Bites Mag soon. If you’re not already a member of the Wine Decoded Community you can Join us Here! We have access to all of the wines from Loosen, Keller and Wagner-Stemple + a massive range of German, Alsatian and Austrian wines. If there’s anything elese you’d like call us on 1300 811 066 or Request a Wine Here. All of these single-vineyard GG wines are fermented with indigenous yeasts in 1,000 or 3,000-liter oak casks and left on the lees for 12 months with no batonnage. The famous “sundial” vineyard, in the village of Wehlen, produces the quintessential Mosel Riesling: delicate and refined, with racy minerality and endless charm. The Wehlener Sonnenuhr GG exhibits the delicate style and penetrating floral/citrus intensity that is typical of the blue slate soil. NOTE: “Grosses Gewächs” (grow-sess guh-vex) simply means “great growth” in German. It is the term used for a producer’s best dry wine from a classified Grosse Lage (equivalent to “grand cru”) vineyard, indicated by the “GG” on the bottle. This is a demonstration of how to make sweet / off dry white wine. The incredible acidity that the Rheinhessen is capable of producing is the perfect base to work with to make pure off-dry Riesling. Keller have got this bang on. The right amount of vinosity to taste like proper wine and not grape juice, with a level of complexity that is a sign of the quality GG vineyards from which the fruit is sourced. It’s a fun, vibrant and refreshing drink. Lovely citrus and floral notes. Sourced from the same younger plots of the prized ‘First Growth’ Abtserde & Kirschspiel vineyards as the Limestone Kabinett. It's great to see this Trocken (dry) side by side with the Kabinett (off-dry), from the same fruit source. Wick opportunity, to see both styles, how good they both can be. This dry version can still have up to 9g/L sugar. At the end of the day it’s not about the numbers. The big question is, have they made a beautifully balanced, delicious wine. The answer, definitively yes. The juicy acid, has the depth of fruit to back.otes. 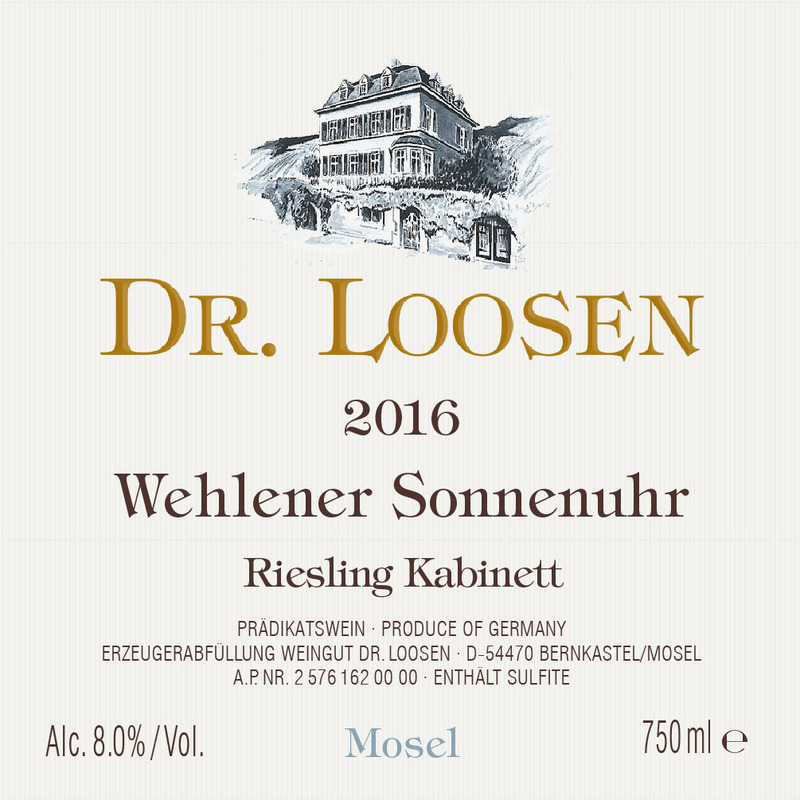 A Kabinett style that shows candied notes and prominent sweetness, not as light-footed as similar wines from the Mosel region, but which nevertheless presses all the right buttons one expects from a Kabinett Riesling. The wine is simply bursting with juicy aromas such as peaches, yellow plums, melon, pineapple, candied ginger and violets. In addition there is just a hint of petrol, which blends in very well with the nose. On the palate, there is an appealing, playful, lively and refreshing balance of fresh acidity, prominent sweetness and fruit extract. In addition, there are smoky and salty aromas on a long finish. A lively, playful Kabinett that weaves a cocoon of elegant sweetness like cotton candy around the ripe fruit. much less evident. On the palate you can expect to find the mineral notes, reminiscent of sea salt, typical of the ‘Porphyr’. An absolute power house, such intrigue, texture and flavour! The Porphyr is a fuller style Riesling with insane depth. The texture teases, the complex perfume carrying through to the palate. Chalky acid giving it a lovely clean finish. The flavours lingering. Dissecting it a bit you could see some detail from skin contact and barrel work that just added to the fun! If the Riesling Trocken is an aperitif, the Porphyr’s got you set for a Raclette! Medium to light straw yellow colour. The bouquet is attractively floral, with dried wildflower traces and rocky mineral traces. The palate is intense and crisp, with some raciness. The acidity is brisk and the palate and finished are well-balanced and long. There’s a juiciness in the mid-palate, which enriches the flavour and carries it long through the finish. Excellent wine. From Heerkretz and Holberg vineyards. Middle age vines, that is, not old vines or young vines. Porphyr seems to tick a lot of boxes, year in-year out. Steel and wet slate scents. Austere perfume. Some greenery, herbs, briar, then green citrus and lime juice. Understated and appealing. Steely in palate. Rapier thrust of glass shard-like acidity with a splash of juiciness around it. Set in the tonic water vein. Ultra quinine. Fascinating.